Does your church have goals? The apostle Paul prescribed an important peacemaking one for the church at Corinth in 2 Cor. 13:11. Aim for restoration. Recently I’ve been writing about the kiss of love (1 Pet. 5:14) as a gospel grace for guarding unity in the church. Another factor in guarding unity through practicing gospel greeting is setting our church sights high for what Paul calls “restoration.” This matters a great deal for all churches but especially for those marred by a history of conflict. Aim for restoration. He used a form of the same word back in v. 9. Your restoration is what we pray for. The idea behind the word is to be made complete, whole, perfect in the sense of mature, put thoroughly in order. It’s used in the gospels for the mending of nets and in the culture for setting a fractured bone. The same root appears in Eph. 4:11-12 concerning the role of gifted people in the church to equip the saints to do the work of the ministry so that the body can be made whole and mature. See also Gal. 6:1-2 where it applies to helping restore spiritually someone trapped in sin. We might translate it mend your ways. The Corinthian community lacked in so many ways. Paul exhorts them to set their aim high at cleaning up their act. Make right the wrongs. Get their ducks in a row. For just one example, consider 2 Cor. 12:20. Now there was a church with a lot of work to do in cultivating a culture of peace! Paul exhorts them not to settle for such a distorted form of community but to aim for something far superior. In my next post I will share a number of concrete ways a church can aim at the perfect in this all important virtue in our gospel-shaped community. You won’t likely offer the holy kiss of love to some member of the body you’re fighting with. You’re more likely to hide from them in the cave so as not to even make eye contact. God help us to aim higher! Jan loves to greet folks she knows with a warm embrace. She’s just about the best example I know of someone who takes seriously the Bible’s command to greet one another with a holy kiss (2 Cor. 13:12). She’s turned me into more of a hugger! In my last post I wrote about the kiss of love (1 Pet. 5:14) as a gospel grace for guarding unity in the church. The gospel shapes our community with oneness when we engage one another intentionally by greeting with the holy kiss of love. The way I see Paul’s flow in the argument makes me think we most likely will embrace his command in 12, or some modern-day, culturally appropriate version thereof, IF we take seriously and obey all five of his rapid-fire, staccato, summary-of-the-book imperatives in 2 Cor. 13:11. I call them five virtues which must be operative in a gospel-shaped community if it’s going to show genuine, holy intimacy in relationships: rejoicing in the Lord, aiming at the perfect, submitting to the leadership, agreeing on the truth, and striving for the peace. The first is rejoicing in the Lord. Finally, brothers, rejoice. Some translations have farewell. And it can mean that. The Greek word became a familiar form of greeting and parting in the New Testament world. But the word literally is, as rendered by the ESV, the word for rejoice. Paul ends the same way in Phil 3:1 – Finally, my brothers, rejoice in the Lord and Phil. 4:4 – Rejoice in the Lord always; again I will say, rejoice. Paul made it very clear in the opening of the letter, 2 Cor. 1:24, of his priority agenda in this regard – we work with you for your joy. This way of saying hello and/or goodbye doesn’t differ all that much from the Jewish salutation shalom. Peace be to you. 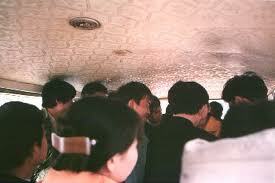 It conveys a certain sentiment, blessing, and hope for the party given the greeting. It is decidedly vertical in its trajectory, for the object of rejoicing isn’t in one’s circumstances which vary substantially, but in God who always remains the same and always works all things together for a believer (Rom. 8:28). People grounded in the bedrock theology of God’s sovereignty that contributes a deep running current of joy in His control of everything best fight against anxiety and more often than not bear the fruit of the Spirit that is joy (Gal. 5:22-23). And because they keep their eyes on Jesus on the throne and the certainty of His love in the gospel, they possess a power to rejoice even in suffering and touch others with tangible, holy forms of intimacy rather than drown in a sea of self-pity that ignores the needs of others. What greater need do we have than to be loved by others? Consider giving more attention to your greeting ways in the church fueled by your rejoicing ways in God. That’s my word for 2015, at least in terms of my pastoral role. I hope to pray about ownership. I hope to model ownership (the cancer battle notwithstanding). 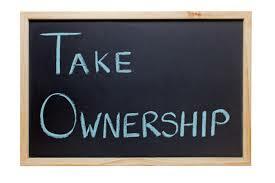 I hope to preach on ownership. I hope to exhort about ownership. I hope to counsel about ownership. I hope to rebuke (in love, of course) when I encounter lack of ownership. I hope to disciple in ownership. I hope to teach about ownership. In short, I hope to eat, drink, and sleep ownership as a covenant member of a local church AND challenge others do the same. Why wave the banner of OWNERSHIP over Orlando Grace in the New Year? Does a text like Acts 2:42-47 suggest we should do anything less? I doubt the church of Jesus Christ has seen since any greater demonstration of ownership to her mission than it did in those early New Testament days. Notice the word “devoted.” Literally it means “to be strong toward.” These folks had a passion for certain things that drew them together. Teaching, fellowship, worship, hospitality, generosity. They constantly flexed their spiritual muscles in these virtues of community. The impact in the city of Jerusalem was so profound that God did the adding of souls to His church through their what? Ownership. Tomorrow begins another year of ministry at Orlando Grace Church. Will we as covenant members “own” our community like never before? I pray we will. We can start by those who are able joining the prayer team at 8:30 AM in the conference room. We can continue by jamming the three new equipping hour electives (spiritual disciplines, resolving everyday conflict, and systematic theology I) at 9:30 AM. And we can peak with spirit and truth worship and praise at 10:45. We can overflow by taking lunch together, including invitations to new people God brings our way. Let 2015 be a year of ownership like never before for our joy and His glory. Sometimes I feel woefully inadequate persuading good-for-nothing-brick types to join a local church through positive arguments. For this post I decided to try the reverse psychology approach with ten good reasons why someone would NOT want to join a local church. One, you should not become a church member if you do not want your profession of faith in Jesus to be evaluated and deemed credible or not by a body of believers charged with determining, with God’s help, who really does belong to the King as opposed to who might just be fooling himself (Matt. 7:21-23). Two, you should not become a church member if want to avoid any of the inevitable “one another” commitments of the New Testament that find their fullest and best expression in covenant community (John 13:14). Three, you should not become a church member if you think participation in the ordinary means of grace – the preached word and the sacraments – are somehow optional in the Christian life (Heb. 10:24-25). Four, you should not become a church member if you want to maintain complete control over your finances such that you feel no obligation to support the local ministry from which you receive ministry and experience community (Gal. 6:6). Five, you should not become a church member if any of the idols of your heart have such a grasp upon you that you fear exposure by rubbing shoulders more intimately with other members of the body of Christ (Heb. 3:12-13). Six, you should not become a church member if the idea of submitting to anyone’s authority gives you the willies and that you might be held accountable to the commitments covenant members make as a part of church membership (Matt. 18:15-20). Seven, you should not become a church member if you prefer to sit on the sidelines of the church and bury your gifts in the ground for fear of the what the Lord might require of you in terms of ministering to others (1 Pet. 4:10-11). Eight, you should not become a church member if the tyranny of busyness so controls you that you can’t imagine fitting another thing, no matter how important, into your schedule (Eph. 5:16). 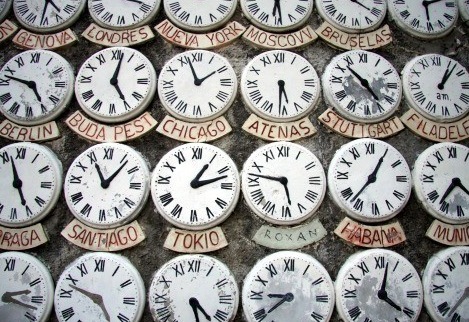 Nine, you should not become a church member if the only world that concerns you is within your own four walls and that obeying a commission to take the gospel to the unreached people groups of the world and/or the folks where you live, work, and play don’t register on the radar screen of your life (Matt. 28:18-20). Ten, you should not become a church member if you don’t want to belong to the one entity God has ordained to put His glorious plan and purposes on display before all things invisible (Eph. 3:10). I don’t pretend to get this. 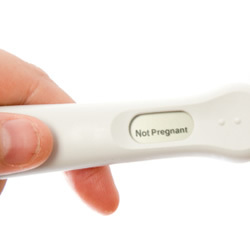 Nancy and I never suffered the trial of infertility. We have known and know even now dear brothers and sisters humbling themselves under the mighty hand in this journey (1 Peter 5:6-7). We see the hurt. We feel the pain. We ache with the longings that go unfulfilled. Still, without walking a mile in those shoes, it makes it tough to identify as well as one might wish. I’m painting a bleak picture of infertility here, I know. There is no way to ignore how painful it is. It’s certainly the biggest trial my wife and I have ever faced, individually or together. But God has used this trial to grow us spiritually and demonstrate his love for us in ways we couldn’t have anticipated. And the church—that network of loving, supportive, prayerful relationships we have in Christ’s body—has been used by God to comfort and sustain us and others like us. That’s not to say relationships in the church are easy when you’re struggling with infertility. Those aforementioned feelings of isolation and alienation are real. Friends in the church have seemed thoughtless at times, not considering how things they say might be hurtful; at other times they’ve been awkward, aware of our struggles but at a loss for what to say. Often the strain has been entirely our own fault—we’ve promised in our church covenant to “rejoice at each other’s happiness and endeavor with tenderness and sympathy to bear each other’s burdens and sorrows,” but sometimes jealousy and bitterness sap our motivation to do any rejoicing or accept any comfort. Naturally I long for my church and all gospel-grounded ministries to act like the comforting network described in paragraph one. However, I realize too readily how easily we can miss the boat messing up as in paragraph two. May Jesus and His gospel enlarge our hearts to enter the struggles of saints battling this hard providence as well as a host of others as we have opportunity. That is indeed the question for this weekend. 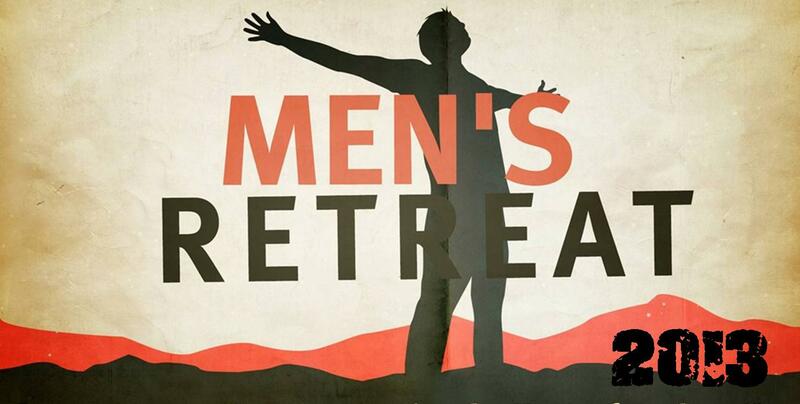 Another men’s retreat is upon us. The answer to the question for me is a no brainer. Retreat, of course. And not just because my role as pastor requires it. I would like to think I would make our men’s retreat a priority for a variety of reasons. However, one stands out to me more than others. 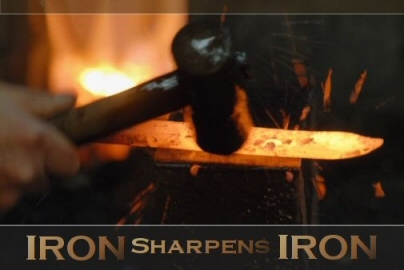 Proverbs 27:17 – Iron sharpens iron, and one man sharpens another. Why invest twenty-four hours with a bunch of brothers from my church? Because isolation makes PC a dull blade. Before I skin a deer in Idaho, I sharpen my knife with a whetstone. Why? The tool works a whole lot better in an otherwise tedious process. The Bible says brothers hanging with brothers doing gospel life and talking gospel things makes men sharp for life. I’m dull enough without skipping a main means God employs for my sharpening. To retreat or not to retreat? How do you answer the question? Say yes this weekend and gladly take up the bond of brotherhood.